In the magic of Mexico, she finds the hairdresser within, and builds the life she never knew was possible—a life on her own terms. Deborah Rodriguez is the author of the nonfiction New York Times bestseller Kabul Beauty School and the internationally bestselling novel The Little Coffee Shop of Kabul. The hairdresser and motivational speaker was a cofounder and director of the first modern beauty academy in Afghanistan, and also founded the nonprofit Oasis Rescue. She lives in Mazatlán, Mexico, where she own Tippy Toes salon and spa. 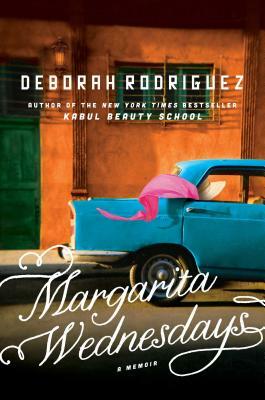 Her latest book is Margarita Wednesdays: Making a New Life by the Mexican Sea.